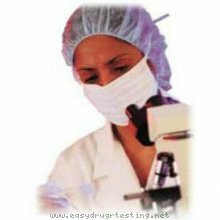 Detox products: ORAL FLUID SALIVA LABORATORY DRUG TEST. Pass drug tests, passing all drug test. Cover the collection pad with the white cap. Detach the collection pad with its white cap. The collection pad should easily fall into its white cap. Push the white cap until tight secured on the device. Send your test to a lab for confirmation.